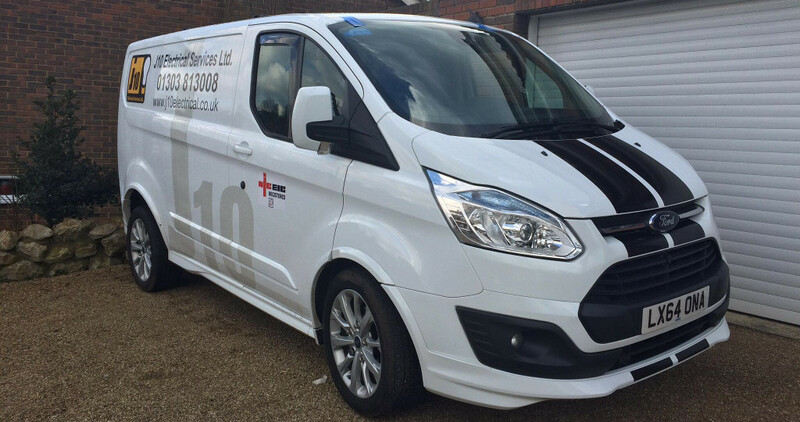 J10 Electrical Services is a family-run business based near Ashford in Kent (just off junction 10 of the M20 motorway – hence the name). The business is owned and run by Geoff and Sarah Garrett and was established in 2005. Geoff is a fully-qualified electrician with many years of knowledge and experience running a team of fully qualified to 17th Edition electricians covering domestic, industrial and commercial installations. Our apprentice Jack, eldest son of Geoff and Sarah, has commenced his fourth and final year of training and attends Ashford College one day a week. He is working extremely hard towards his goal of qualifying as an electrician. Our previous apprentice Alex completed his course in July 2015 and is now a fully qualified electrician; we are very proud of his achievements. We would like to welcome Lloyd on board! Lloyd is Geoff and Sarah’s other son and has recently commenced his apprenticeship with J10 although through a different training provider; JTL. He will begin one day a week study with JTL in January so in the meantime is gaining plenty of practical experience. With both sons on board this is truly a family business! We offer a wide range of electrical services, from large projects to smaller domestic work. Many thanks for all your recent help with changes and improvements to the electrics here. Job well done - I am delighted!